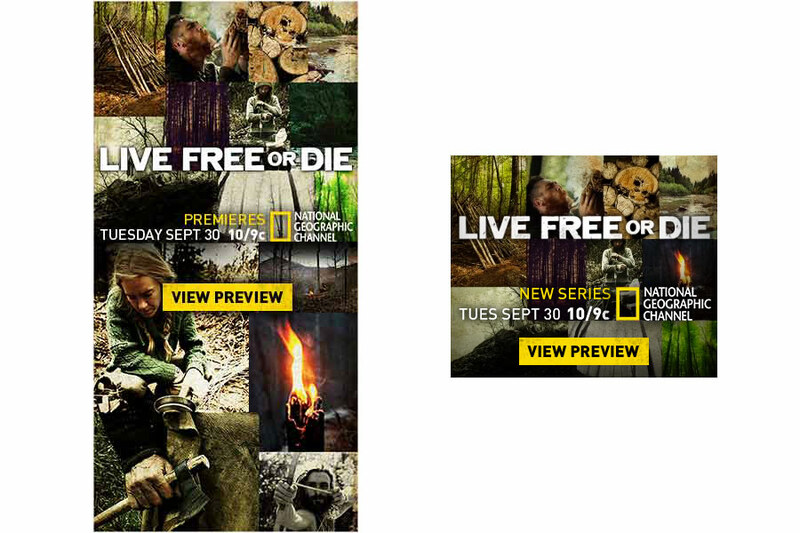 As Art Director, I worked closely with The National Geographic Channel on this interactive media campaign, which featured progressive flash, site skins, and rich media. 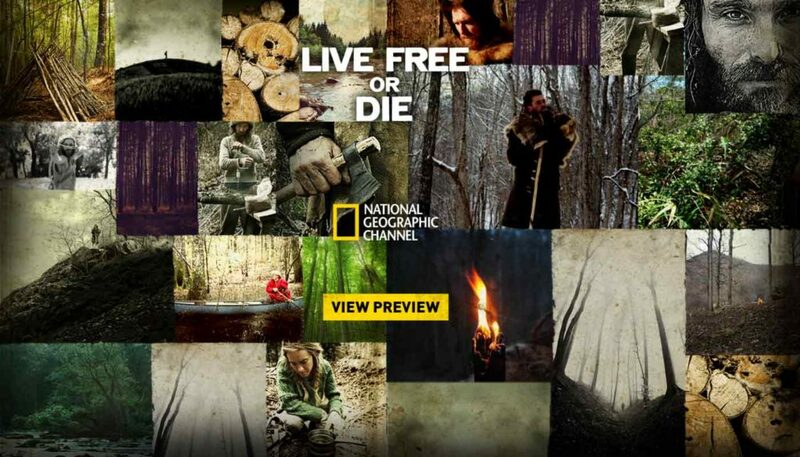 To better explain this new show to viewers, custom video was created with the show’s tagline to run without audio. Upon user initiated click, the 30 second trailer then plays with audio. A cohesive look was maintained across all platforms, focusing on video and tune-in for the series premiere. 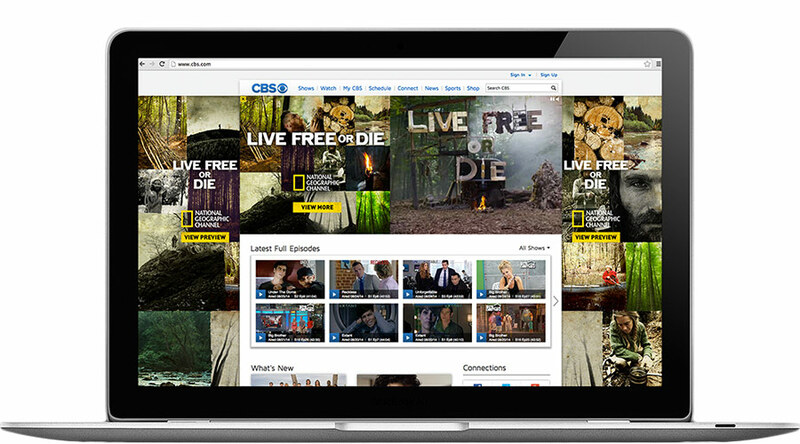 Custom high impact units and integrated skins ran across multiple pop culture & news sites including: CBS, History Channel, Rythym, Peel, and Tube Mogul. 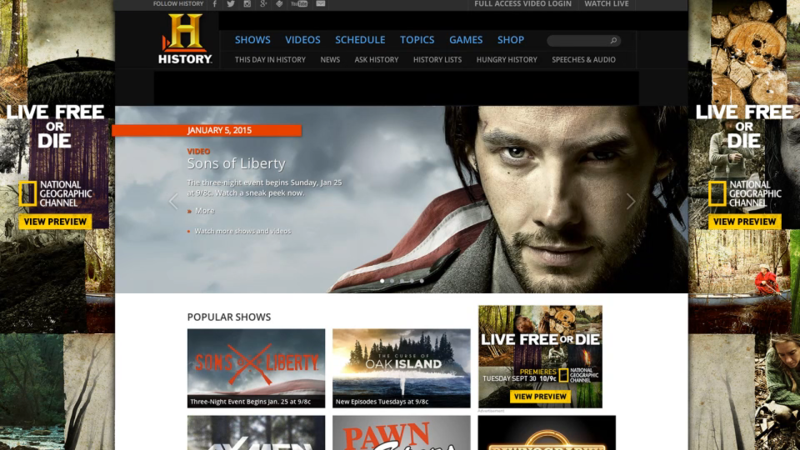 To help our ads stand out, we developed custom motion creative and targeted video sampling to introduce new fans to the show and the series premiere utilizing Flash and HTML5 ads including homepage takeovers, site skins, rich media pushdowns and progressive flash units. A custom trailer was created in After Effects using scenes from the program. A voice-over track was made, as well as in-environment CTA’s to maintain the creative direction of the campaign as well as increase impact for users without audio.